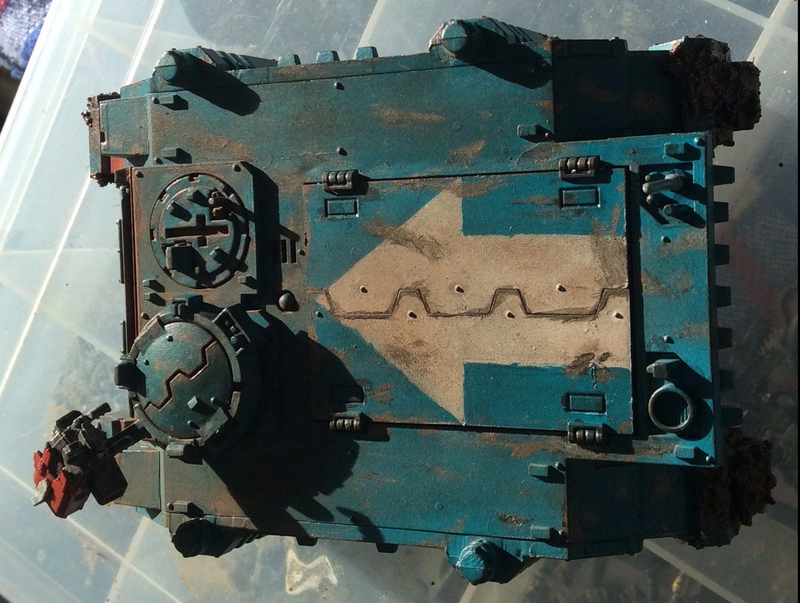 IDICBeer 40k: How will 6th Edition effect my Harlequins? How will 6th Edition effect my Harlequins? As many of you already know, my Harlie army is totally inspired by Fritz and his Harlequin build. 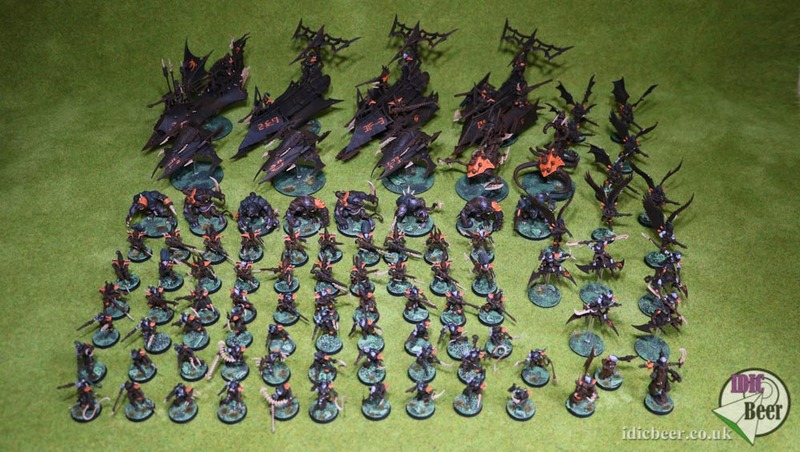 Thirty Harlequins, Eldrad/Maugan Ra, three Wraithlords and two groups of Pathfinders. The army was quirky and used a large amount of Eldar Tricknology, but it was a blast to play and I didn't invest a lot of money into the army, just using some old Harlequins, Wraithlords and Ranger minis that I found cheap. I do plan on bringing the army up to date and painting it all up at some point, but with only a single game under my belt with the Harlequins in 6th, how is the army going to change? I know Fritz has been putting in some work on adapting his list for 6th, and it has been interesting to see what changes he is making. So, lets have a look at some of the key units of the list and see what effect 6th has had on them. The main theme of the list was that everything was hard to hit. Veil of Tears stopped the Harlequins being targeted from a distance, the Pathfinders had a 2+ cover save and the Wraithlords were generally hard to hit at toughness eight with three wounds. Throw in Eldrad with guide, doom and fortune and the only way you could do any real damage was to move in close, and that's when the Clowns would hit you. Obviously, the thirty Harlequins are in the list as standard, as that's the whole point of the theme. The Veil of Tears rule has had a bit of a tweak now, and it no longer stops the unit from being targeted, as compensation though, it gives you both the Stealth and Shrouded special rules, so they will have a 4+ cover save in the open, beating their 5++ save that they had before and a 2+ cover save in cover, this actually seems much better than it was, as long as you don't roll any ones! Eldrad has always been the standard choice for the army, with doom and fortune being a key part of its operation. Eldrad would normally join the Pathfinders in cover for a re-roll 2+ cover save, whilst being protected by the Harlies and Wraithlords. For fun games Eldrad was replaced for Maugan Ra to run with the Harlies, or in bigger games both would make an appearance. I am still currently playing 1750pt games, but even at that level I am thinking that Eldrad and a second Farseer is the way forward. Moving up to 2k brings something totally different to the army, as it will then be possible to have four Farseers in the list! So with the Harlequins and HQ choices pretty much fixed, what else to take? The main issue with a themed list like this is having enough points to fill out the troop slots. Previously, two small groups of Pathfinders did the trick quite well. Leaving enough points for three Wraithlords with Brightlances and Missile Launchers, but is this system going to work in 6th? I know Fritz has switched over to Guardians with Scatter Platforms and dropped the Wraithlords for Support Weapons and I can see the logic behind his thoughts. Harlies up front with two waves of Guardians behind them, backed up by three groups of Support weapons does sound good. I don't currently own any Support Weapons and only have one unit of Guardians, so I am unable to jump right in and try this out for myself. I have to admit, the Pathfinders are going to be a weak point of this themed list now more than ever. Although they are a good unit that have some nice new rules in 6th like Precision Shots, there is no way they can be the only troops choice in the army and fulfil the mission goals that are needed in 6th, like they were able to do in 5th. Although I haven't play tested the Wraithlords in 6th edition yet, I am not convinced they should be so easily dismissed from the list. 6th has given these guy's some bonuses like easier cover saves, being Characters and having two flamers for Overwatch. I will need to gain a few extra points for the second Farseer in the new list and I can see the Bright Lances and Missile Launchers being dropped for a Scatter Lasesr and Shuriken Cannons to gain the points. Three groups of Harlequins, Eldrad and a second Farseer comes in at about 1150pts, so that leaves me with about 600pts left for troops and support units in a 1750pt list, just enough points to squeeze in three Wraithlord and two groups of Pathfinders if I wanted to stick with the format and models I already have for the army. So what if you had 600 points to spend on troops and support for the Harlequins, what would you take for troops? Jetbikes, Storm Guardians, Dire Avengers? 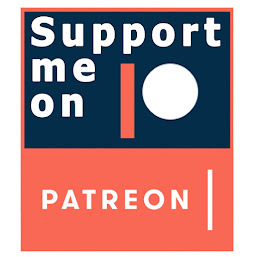 How about for support? Fire Prisms, Walkers, Warp Spiders? Or should I look at allies? How would you make a Harlequin themed army work? Five Rangers are 95pts, althought I would usual have Pathfinder Rangers and they are 120pts, so I could change the Pathfinders for three groups of three Jetbikes, but like you said keeping them alive is still the issue, but at least they would have some speed. Shooting through intervening units gives you a 5+ cover save, right? Which combined with Stealth (+1) and Shrouding (+2) would give you a 2+ cover save all the time. Why would you not just screen your Harlies with another unit all the time? That way you're not dependent on cover and can actually move about. In your battle report against the Blood Angels it just looked like your army spent the majority of the game shuffling their feet (and rolling 1's) and not really getting a return for their large expenditure in points. 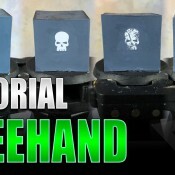 How about a screen of cheap, expendable Guardians with Conceal? If any attached character has Stealth it is conveyed to the whole unit. Allying Dark Eldar IC Baron Sathonyx gives the Guardian screen both Stealth AND Hit & Run, and also gives you +1 on the die roll for first turn. Not bad for ~100 pt. IC. If you really need to keep them alive they can Go To Ground for a 3+ cover save total. If you don't want to use allies you can always take Karandras to give Stealth to your Guardians. They don't have to be Aspect Striking Scorpions to gain the ability now. He's pretty pricey though, but the fact that he doesn't have a ++ save may not be such a big deal now. With the rarity of AP2 weapons his 2+ save may see him through.